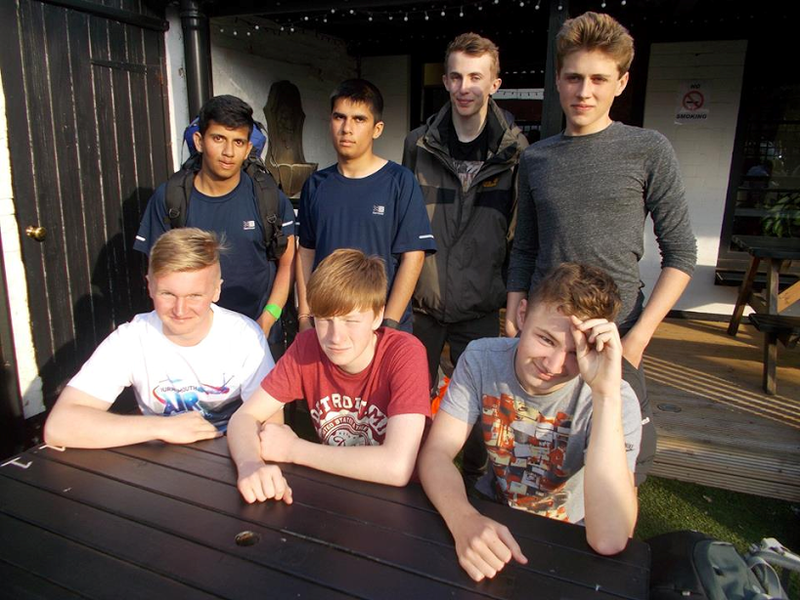 Seven Cadets from 84 Squadron have completed their first ever Duke of Edinburgh expedition with flying success. Walking through the South Warwickshire Countryside the team not only came to the finish ahead of schedule they met all their targets on route and had a good night's sleep mid-way through! Cadets Stephens, Cadman, Watters, Kelly, McLaren, Thakrar Vik and Thakrar Vir all completed the challenge with a great deal of professionalism and expertise. Supervising staff were extremely impressed with their team work, ability to complete the walk as well as their camp craft skills when they arrived at the campsite for the overnight stop. The Duke of Edinburgh's Award Scheme is made up of several components, one of which is an expedition. At the entry level, for the Bronze Award, Cadets must complete a two day expedition with minimum 6 hours activity each day and of course camping overnight to demonstrate their navigation skills, ability to fend for themselves with minimal supervision from staff and survive overnight without a phone charger or iPad in sight! This was the qualifying element for the expedition following a successful practice weekend earlier in the year. The Cadets are now eligible to receive their Bronze awards so a huge congratulations to them all for completing their awards. We look forward to sharing photos of their badges proudly on display soon. So Long, Farewell to Mr Mohammed!